We all have to show our vulnerabilities. We all have to learn that it is okay to be vulnerable and that no one is perfect. 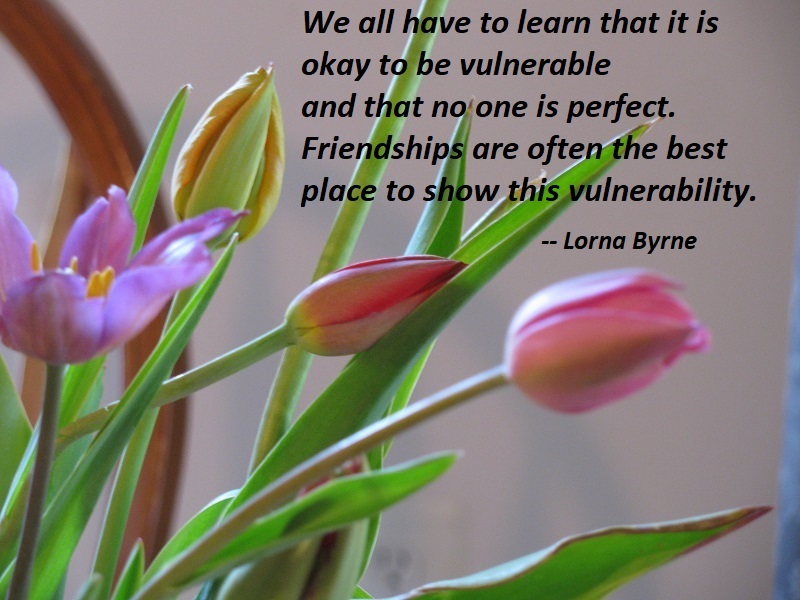 Friendships are often the best place to show this vulnerability. The next time you are with your friends, observe who is allowing their true selves to show, warts and all, and who is keeping the barriers up, presenting themselves and their lives as perfect. It may be you. 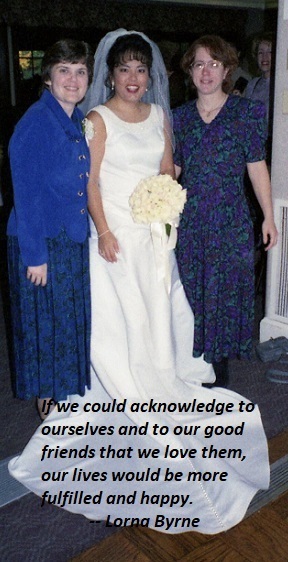 You may think that a community of loved ones can come later; that what you really need is a partner. If you think this way, chances are good that you are sabotaging your search for love. If you seek romantic love but are not building love into your relationships with friends and family, chances are good that you won’t find what you’re looking for…. Our characters are like wax. Left alone in the cold commerce of day-to-day life, we harden into whatever shape our environment creates for us. Wax must be warmed to be reshaped. 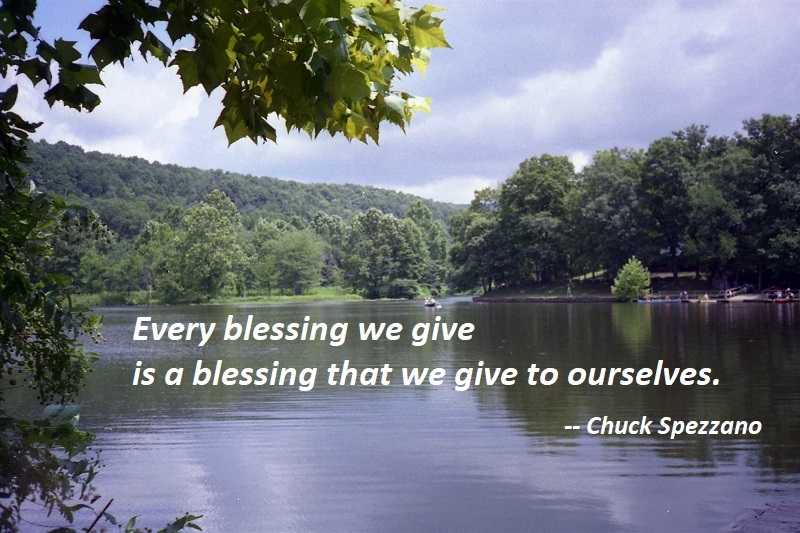 We are warmed when we are in the Gift Zone. When we are in the presence of people with whom we feel safe, we are also warmed. We begin to soften. We find ourselves becoming malleable and trusting as we open these tender parts of ourselves again. 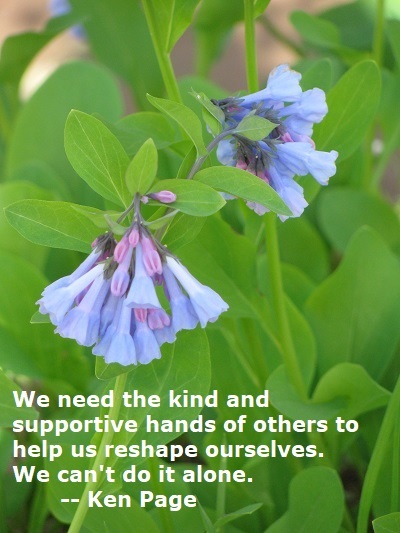 At that time we need the kind and supportive hands of others to help us reshape ourselves. We can’t do it alone. — Ken Page, Deeper Dating, p. 74. Love is love; it’s always the same, but the angel with no name has shown me that many people have a very narrow view of love — they simply see it as something between a couple, or within a family. I meet so many people who are crying out for love, but they think the only way to get this love is through a romance, and because of this they are failing to see the love that is already in their lives. They fail to recognize there are many different ways in which we can love. The places where we feel most broken often don’t need to be fixed. What they need is to be heard. Being attracted to someone lets us know that we have a gift for them. Often, when we are attracted to somebody, we think they are supposed to give us something, but our joy comes in realizing that if we give the gift, a creative project comes to both of us as a result of that connection. If we are willing to give our gifts with integrity, we enjoy a creative connection with many, many joyful people. Today, as you recognize yourself being attracted to someone ask yourself, “What is the gift I am to give them that would really move them forward?” It might only be a blessing or a feeling of support, but whatever it is give it without any expectation of receiving anything in return. Give your gift with integrity and love, and enjoy this creative connection you now have with them. It began when Jesus called out, “Follow me,” and his friends and neighbors left their old lives and started a new community. A dozen men and a band of women joined Jesus and one another in a journey of faith and sharing and compassion. Christianity did not begin with a confession. It began with an invitation into friendship, into creating a new community, into forming relationships based on love and service.